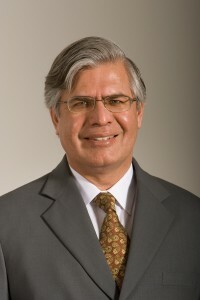 Aneel Karnani, University of Michigan associate professor of Strategy at the Ross School of Business, is perhaps one of the most well-known skeptics of Base of the Pyramid approaches, corporate social responsibility and microcredit. Over the years, his articles, “Romanticizing the Poor”, “Microfinance Misses its Mark,” and “The Mirage of Marketing to the Bottom of the Pyramid” sparked lively debates with the late C.K. Prahald and Ashoka’s Al Hammond here on NextBillion. In his new book, Fighting Poverty Together, he levels familiar criticisms, but also provides numerous suggestions for how businesses, NGOs and governments should address poverty alleviation. I sat down with Karnani last month for a spirited interview. The following are excerpts of our discussion. NextBillion.net: Before we get into the particulars, let’s talk about the overriding thesis of the book. Karnani: The problem of poverty has been around a long time and the world has been trying to address it for the last 60 years. It’s not like we haven’t made progress, but we haven’t made a big dent, and we should think about what doesn’t work. The argument I hear is ’Well, why not try it?’ And my response is ’We have limited resources, not just money, but in terms of people’s energy, political capital, government attention, etc.’ So if something is not working, we should stop. A lot of the writing seems to talk past each other. You write whatever you like, I write about whatever I like, and we don’t confront each other. And the second theme of the book is we need an eclectic approach to solving the problem of poverty. What I mean is, there are three major layers of society: business; government; and civil society. All hree need to play a role in decreasing poverty. That’s where the title of the book comes from. By “together,” I don’t mean the three will work together in a joint project, but they each will have a role to play. I think in contrast, much of the previous writing has tended to focus on one actor only. NextBillion.net: You’re very critical of microcredit and the BoP. Let’s talk about the BoP. How do you actually define BoP in the book? Karnani: There’s tremendous confusion in the literature about “What is BoP?” So when I argue against it, the question is: Am I arguing against what? The BoP is a fuzzy phrase. When I look at the BoP literature, sometimes they’re talking $1, $2, $5 or $10 a day. … We should consider poor in terms of absolute poor. And by far the majority of literature in development economics uses a dividing line of around $1 to $2 a day, not $10 a day. A lot of the examples (Prahalad) uses are people who earn well above $2 a day. The way it is used today has often got corrupted or broadened, depending on which side of the game you’re on. So when I look at (NextBillion), I see a lot of examples of organizations that are not for profit. So not for profit – that is not new. What is unique about the BoP idea as Prahalad and Stu Hart first talked about it is you could make a profit from it, not do it as a charity. I think we should impose three strict conditions on BoP logic: That it’s profitable; that it’s actually (serving) the poor; and that it’s good for the poor. Now, you put these three conditions together and there are very few positive examples (of BoP enterprises). NextBillion.net: The market was over-estimated certainly about the number of opportunities that existed. I don’t think many people would argue otherwise. But over the years, it appears the sector thinking has moved on to the notion that (companies) need to create value with (poor) people and with communities, instead of going in and saying “Here, buy this.” Is that not valid? Has the sector not evolved in new ways? Karnani: If you mean that they’re abandoning their original version of BoP, then we are in agreement. You can not make money by selling to the poor and reduce poverty at the same time. If you say, “We should work with the poor to create value,” I don’t understand what that means. Are you still saying we should sell to the poor? Or not sell to the poor? NextBillion.net: For example, you write quite a bit about cell phone use among the poor in the book. It seems to me to be, more or less, the same (BoP) principle, isn’t it? Karnani: Cell phones are good for the poor and they are profitable. Cell phones meet all three of those conditions I talked about. I think the biggest reason cell phones work is that the technology in cell phones has made cell phones a lot cheaper than they used to be – not just for the poor but for you and me. I don’t think costs have come down so dramatically for any other product such as food, energy, shelter, clothing and so on, which is what the poor buy. The second thing that is very unusual about cell phones is it’s a very scale-intensive product. The operator has very high fixed costs and low variable costs, so at what price should he sell to the poor? Anything above the variable cost. The poor don’t cover the full cost of mobile phone service, but the operator says ’that’s OK so long as he covers the marginal cost,’ it’s worth selling it to him. And the marginal cost is very, very low…There is virtually no other product that has these two main characteristics of dramatic cost reductions due to technology and extremely high-scale economies. There are some limited opportunities (for the BoP) … The other example I like is Nirma detergent in India. … Nirma says: ’Let’s draw a price/quality tradeoff, let’s degrade the quality so that I can reduce costs and sell it cheap.’…This is the other mistake – at least the the original version of the BoP makes – which is the poor deserve the highest quality. It’s not a question of deserving the highest quality, it’s a question of whether they can afford the highest quality. The challenge I see is: How can we take more products in that direction so the poor actually can afford it? Now, if you do this there is potential. But you’re not going to make a fortune doing it, and it’s not going to be large companies doing it – it’s going to be small local companies. NextBillion.net: We’ve talked a lot about what doesn’t work in your view. You bring up the case of TechnoServe’s work with SMEs in Mozambique with cashew processing as a case of what does work. Karnani: I think that’s exactly the right approach … That we should create jobs for the poor. And most of these (SME) jobs are in small to mid-scale enterprises. This job creation has to be low-skill, low-pay (by Western standards) manual jobs … If you look at the only country that has dramatically reduced poverty in the world over the last 20-30 years is China, by creating enterprises, mostly factories, that are making simple products: shoes, toys, garments and labor intensive low-skill jobs on a large scale. There was no microcredit in China, there was no BoP in China. What there was, was a tremendous amount of job creation. And that’s what India and Africa need to do…This in an abstract sense is where I agree with BoP. The solution to is not governments doing more and more. The solution is business, but business creating jobs rather than selling (to the poor). NextBillion.net: I want to ask you about the role of government. Obviously, many governments do not have the resources to create giant scale jobs programs or infrastructure projects. Is the best they can do is to create an environment for business, not to fund, but to foster? How? Karnani: We want the free market to work here, but the market has to be allowed to work. One of the big problems you see in developing countries and their infrastructure is there are large companies and there are micro companies, but there is no middle, there is no SME structure, they call it the “missing middle.” So if go to a country like India, if you want to get a loan for $200 it’s easy, if you want a loan for a million dollars it’s easy, but if you want a loan for $20,000 to start a small shoe factory or service business, it’s very hard to get that. We see the same with stories about corruption and government regulation being onerous. The $200 microenterprise – you don’t pay taxes, they don’t bother you, you’re under the radar. If you’re in the millions of dollars range, you know how to work the system. But if you’re the smallish entrepreneur with a $2,000 enterprise, you’re stuck. You don’t know to work the system, you can’t escape the system. There are two big roles for the government. One is to foster business, to encourage employment. And we need to foster business that is employment intensive. I think one of the mistakes countries like India has made is they foster businesses, but they are not employment intensive. India fosters the IT sector by subsidizing higher education, but the IT sector is irrelevant to the poverty reduction efforts of India. The poor are not going to become computer programmers. What you see is a tremendous polarization, it has some of the best institutes in the world in engineering and science, on the other side 35 percent of Indians can’t read and write … So the government must target employment-type activities that are good for the poor. The second thing the government has to do is provide basic public services. That, the free market is not going to do. The government has to provide basic services to everybody – sanitation, clean water, infrastructure, public health, public safety. But now, the rich bypass government services. If you’re rich, you send your kids to private school, you drink bottled water, you live in a gated community. The government provides these services to the middle class, and the poor are left to fend for themselves. The government should provide these services to the poor. And I think the problem with the so-called BoP, or market-based, solutions to poverty says, “Let’s provide these services to the poor through the market mechanism, so we’ll have for profit schools, for-profit water.” And there’s zero chance of the free market providing sanitation services to the poor. NextBillion.net: But there in fact have been several BoP businesses that do address sanitation. Acumen Fund, for example, has supported (Ecotact), public toilet company where a customer pays a small usage fee, which is what maintains what is otherwise no sanitation system. Isn’t that better than nothing? Because the government isn’t stepping in to provide it. Karnani: Is it better than nothing? I would say yes. What I think is a false premise in the question is not, “Is it better than nothing?” The question is, “What’s the right solution?” And we should not accept that government will do nothing as a reality. Government belongs to us. The problem with Acumen Fund or BoP logic is it wants to bypass the government instead of reforming the government. There is zero chance in my view of Acumen Fund-type activities providing toilets to half a billion Indians. It might provide it for a few thousand somewhere, but it’s not going to do it on a large scale. And (government infracture efforts are) happening, this is not just a pipe dream. … One of the fascinating movements happening now in India is a rights-based approach to development, meaning it’s the right of people. India’s parliament passed a law that says every child up to the age of 14 has a right to free education. I don’t know when the government will deliver on this promise, but now as a poor person, it’s not up to some bureaucrat to give me an education out of the goodness of his heart, it’s your right to go to school up to the age of 14. There is discussion now in India that they should pass a a right-to-food act, that every person has a right to some minimal amount of nutrition; it’s not a privilege, it’s a right. I think we are too quick accept the failure of the government. There are some countries where I would agree with your argument, like Myanmar, Sudan or Somalia where the government is a failure. But there is zero chance of the market working either. But Bangladesh, India, Vietnam, Latin America – the government is not a total failure, I think there is a chance of us reforming it … The fascinating programs I think are cash transfer programs in places like Mexico and Brazil, and they are literally giving money to the poor. And it’s working! And this is the opposite of BoP … I think these cash transfers help break the cycle of poverty by linking the cash transfer to sending the kids to school, getting the kids vaccinations, get some nutrition, some prenatal care and so on. There is evidence now these programs help reduce poverty in a cost-effective manner. Please like NextBillion on Facebook and follow us on Twitter.